New goalie buckets are being announced fast and furious, so let’s check out some more new designs that will be debuting this October. If you missed them, go back and read Part 1 and Part 2 to see some more new designs. By the way, all italicized links (like this one) will show images. Non-italicized links will go to a different page. The tribal style is inspired by the first nations art, indigenous to the Pacific northwest, where orcas are symbolic of strength, luck and family. Some tribes view the orca as a guardian and protector of the sea, a definite parallel to Miller being the guardian of his net. 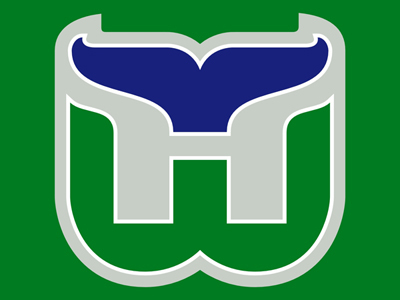 The whale tails on the sides may be a bit too Whalers-esque, but overall this is a good, clean design that will look nice with a Vancouver jersey. 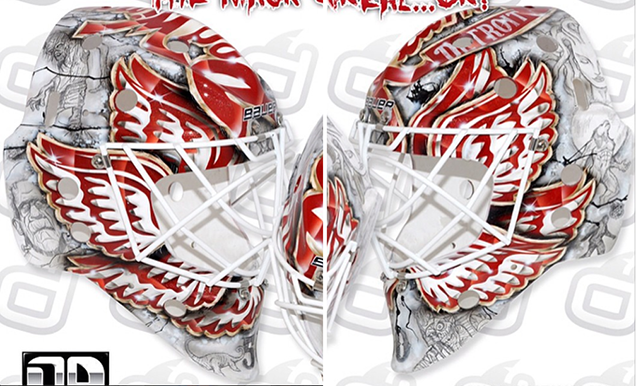 Paying homage to the team’s and city’s history, this mask prominently features the top-ranked Red Wings’ logo on each side with a large “D” crest on the top. 1926, the year of the original six franchise’s inaugural season, is written in script on each side with subtle racing stripes stenciled across the top, a nod to Detroit’s rich motor history. 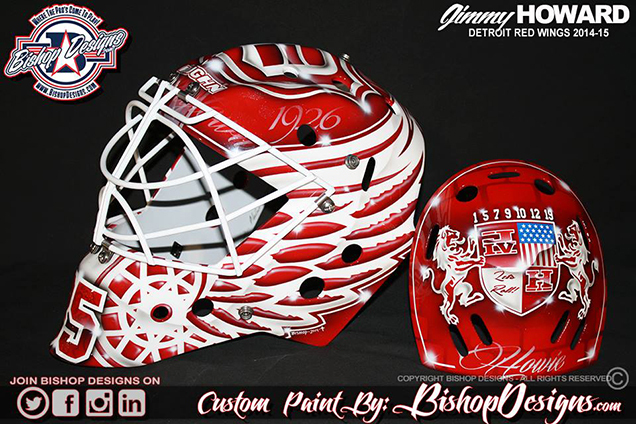 Bishop is “truly grateful and excited” about how much Jimmy loves his new mask design, and I have to agree. 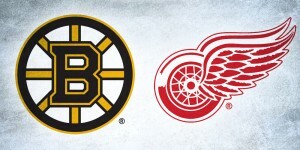 This bold mask is just as classic as the Wings franchise and logo and will look great on the ice in Hockeytown. 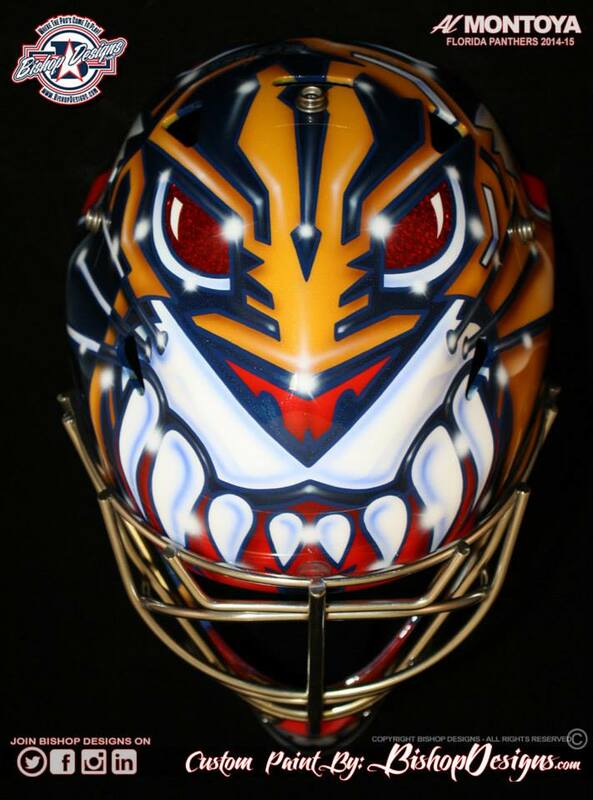 Staying true once again to his nickname, “the Monster,” Gustavsson worked with artist Dave Gunnarsson at Daveart once again to create a new haunted, horror-themed bucket. 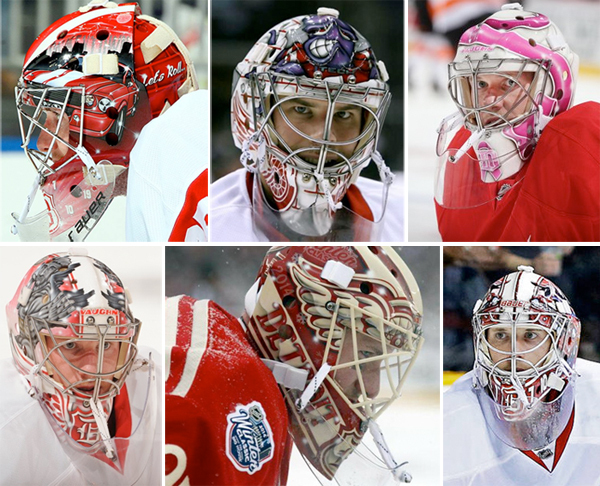 Unlike with his past designs, Jonas’ 2014-15 mask has a scaled-back color pallette, solely using black, gray and Detroit red. 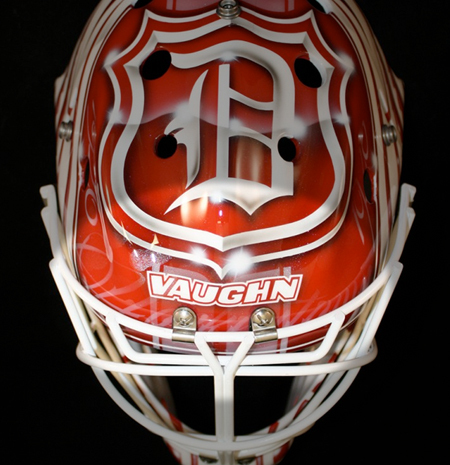 An old-school style Red Wings wordmark scrolls across the top of this mask with a cluster of red wings on each side. The red elements on this mask are drawn in a bold and simplistic style, but the details fall in the desaturated background. Gunnarsson explains on his Instagram page, “Jonas wanted these monsters to have a sketchy old school style, so all [the] monsters are created with an old school lead pencil… it reminds [me] of old school horror book drawings.” Hidden in the sketches are a variety of spooky creatures from Frankenstein and the Loch Ness monster, to Dracula, zombies, Bigfoot, and more. 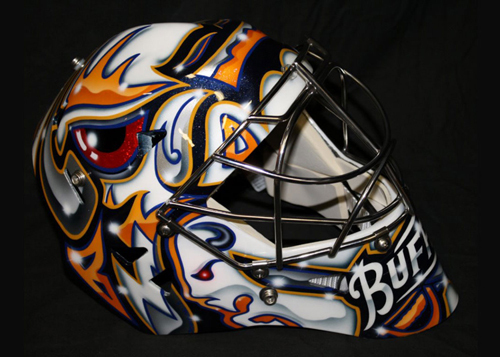 The mix of old and new, graphic and detailed works wonderfully on this mask, and it will be a nice addition to the Wings’ already stellar mask collection. 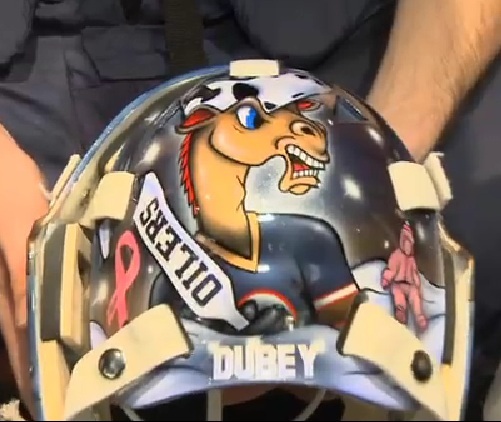 After signing a 1-year deal with the ‘Yotes this summer, Dubnyk decided to embrace the South-West culture full-on with a surrealist, desert-inspired mask concept. 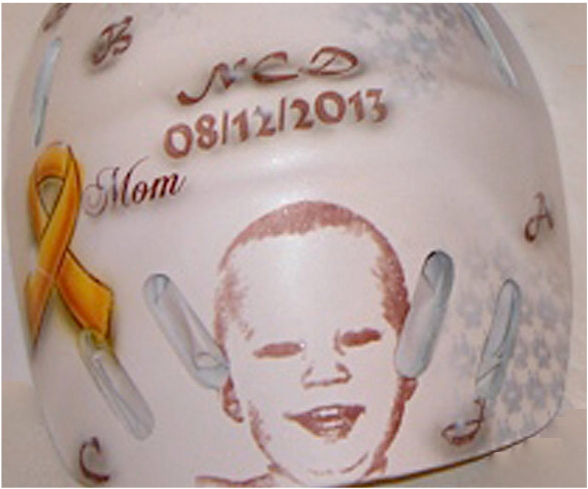 Dubnyk and Gunnarsson went with a concept combining the team logo and nods to his family on the backplate, including a portrait of his 1-year-old son, as well as his signature giraffes, a reference to Dubnyk’s 6 and a half foot stature. 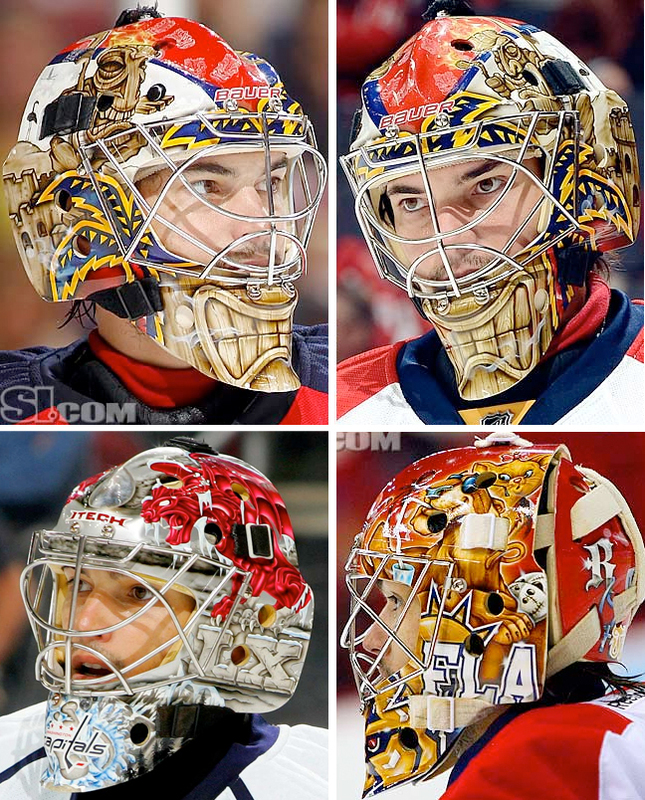 This mask is certainly cartoonish and has a lot going on, but once you’ve put a giraffe in full goalie gear, after that, anything’s possible. 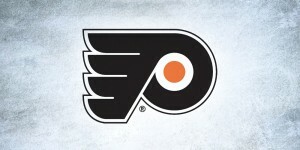 When presented with a team logo as bad as that of the Florida Panthers (5th worst in the league, to be exact) as an artist, you really don’t have a whole lot to work with. 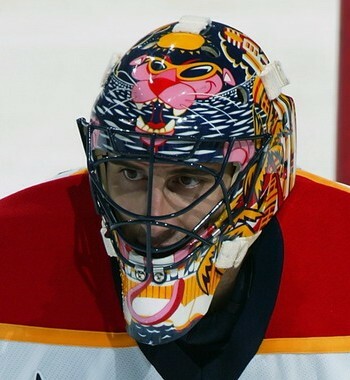 We’ve seen some rough interpretations of this snarly cat over the years, from Luongo’s pink panther to whatever kept happening on Scott Clemmensen’s head, but Ray Bishop showed us something a bit more artful on the Big Cubano’s mask this year. 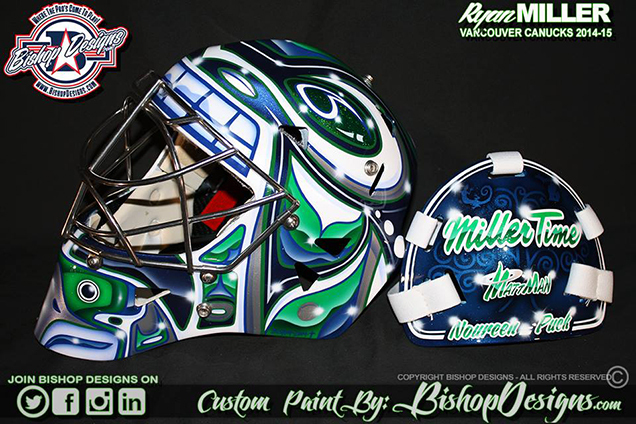 This design is all about the logo, a concept we’ve seen many times before, but the painterly effects and clever backplate set this mask apart. 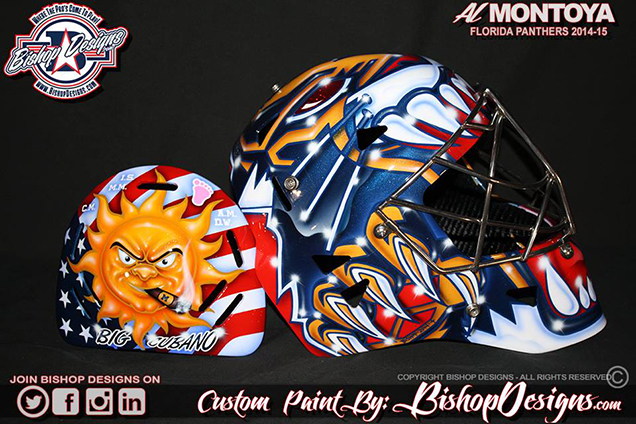 Have you ever seen a sun smoking a Cuban cigar in front of an American flag on a goalie mask before? Yeah. Me neither. 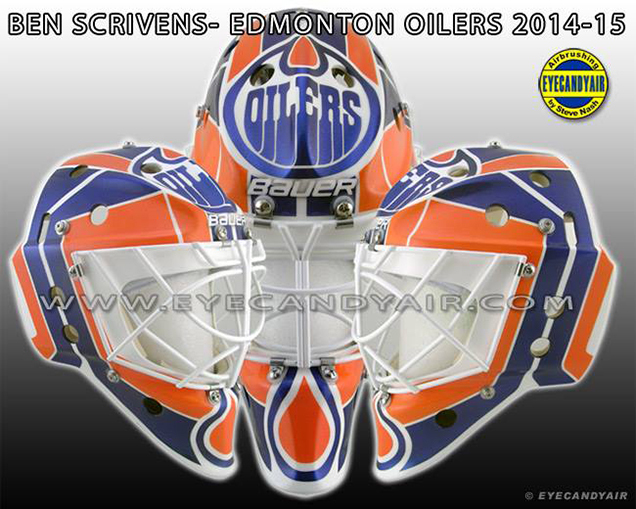 After joining the Oilers from Los Angeles last season, Scrivens chose to go graphic and old school for his sophomore season in Edmonton. 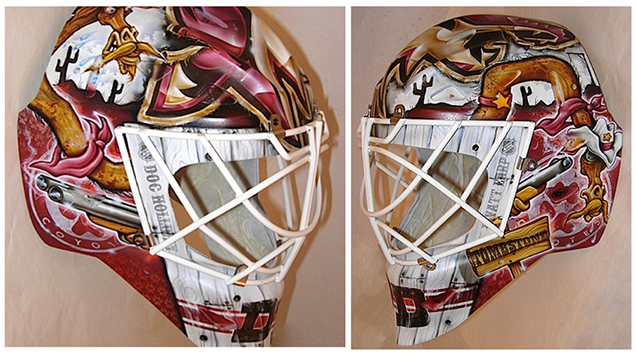 Airbrushed by Steve Nash at Eyecandyair in Woodbridge, Ontario, this mask has an industrial feel, a nod to Edmonton’s oil boom years and the team’s identity. 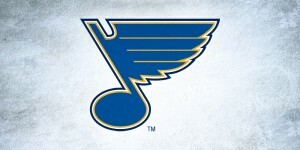 I’m a big fan of the simple, clean design aesthetic, as too much detail can be overwhelming and get lost on the ice (see Jose Theodore). 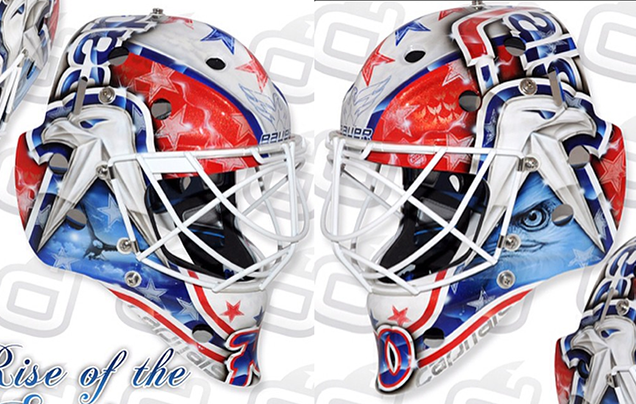 The crispness of the lines and sheen in the metallic effects on this mask are extremely impressive – worth a closer look – and the bold, graphic style will look great on the ice. Another job well done by Nash and The Professor. What do you think? What’s your favourite new mask announced so far? Let us know in the comments. And don’t forget about Part 1 and Part 2!